A detachment of Russian Navy missile ships has completed exercises in the Caspian Sea, involving a simulated enemy using weapons of mass destruction (WMD), the Russian Defense Ministry said on Tuesday. “The main exercises were conducted…as if an enemy used weapons of mass destruction (WMD). 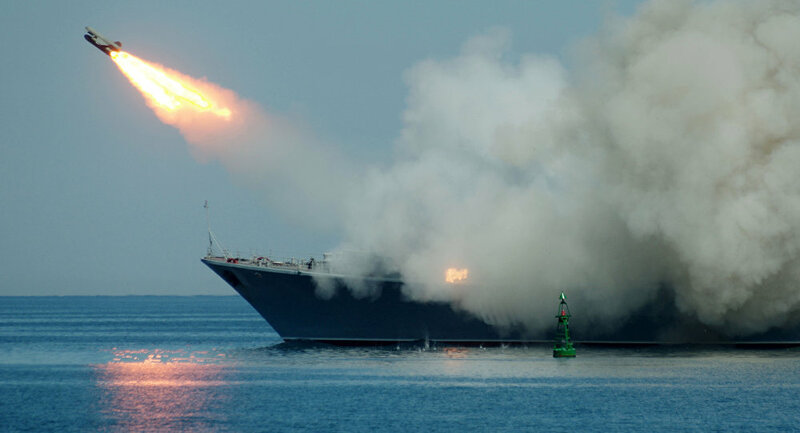 According to the idea of the drills, while crossing the sea, the ship squadron commander received information about a threat of the use of WMD by a simulated enemy,” the press service of the Southern Military District said in a statement. The commanders selected a course to impede the simulated WMD strikes on the Russian ships, the ministry said. The Navy also conducted drills on working an anchor, the reception and transmission of signals using flags in accordance with the International Code of Signals.